Milk thistle is a well-documented liver detoxifier. 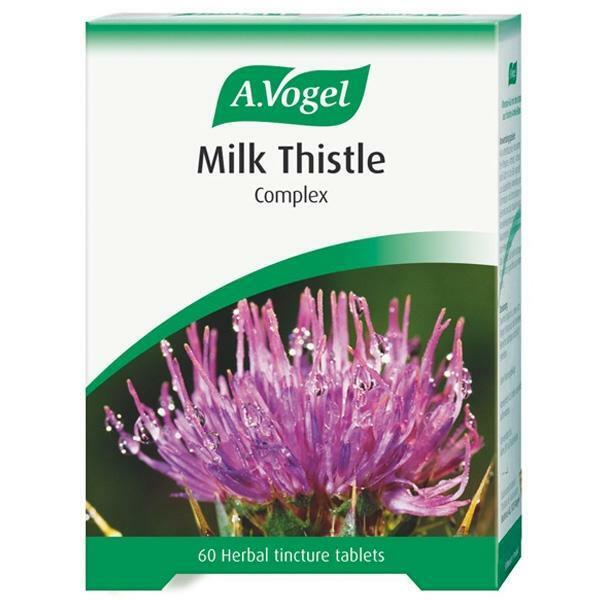 A. Vogel's Milk Thistle Complex, made with milk thistle seeds, also includes fresh extracts of Artichoke, Dandelion, and Peppermint and dried Boldo leaves. Extract of fresh Cynara scolymus* (artichoke) leaves 46%, Silybum marianum (Milk Thistle) dried fruit 32%, fresh Taraxacum officinalis* (Dandelion) herb and root 12%, Peumus boldus (Boldo) dried leaf 7%, fresh Mentha piperita* (Peppermint) leaves 3%. Also contains microcrystalline cellulose and hydrogenated cottonseed oil.